One of Google’s most popular web services, apart from its search engine that’s obviously the jewel of the crown, is its translator. Ever since it was first released, it has improved its different features and polished off all those flaws that we’ve all seen at a given moment. And the next logical step was to adapt its webapp to smartphones and tablets. 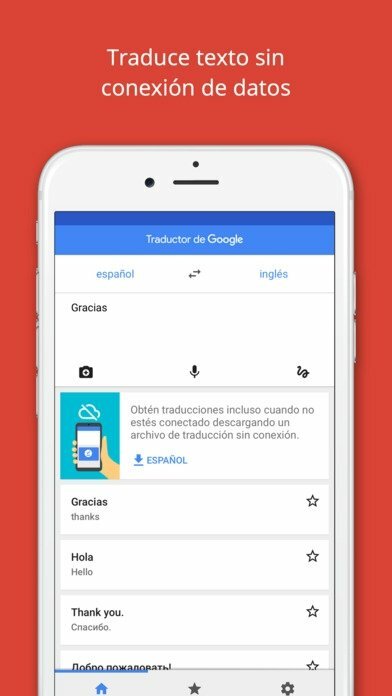 Therefore, as couldn’t be otherwise, we can now also make use of Google Translate on our iPhone (and also in its corresponding APK format for Android). The best language translator for iPhone? Well, it would be slightly adventurous to call it the best but it definitely has all the capacities necessary to get us out of any tight spot in terms of languages, as well as settling our doubts in dozens of foreign languages. We’re not only talking about translations between major languages such as English-Spanish or English French but also translations between languages of the likes of Quechua, Nahuatl or Latin. For such purpose, it offers us a user interface with the usual design in all apps developed by Google. In other words, a very clear and neat design, without any graphical frills, in which white is the predominant color and where the reading and writing area takes up almost all the space on the device’s screen. The perfect translator for your travels and to settle thousands of doubts in foreign languages. Online text translations between 103 languages using our keyboard: this is the classic translation tool in which we’ll input the text and it’s automatically translated into over 100 languages. 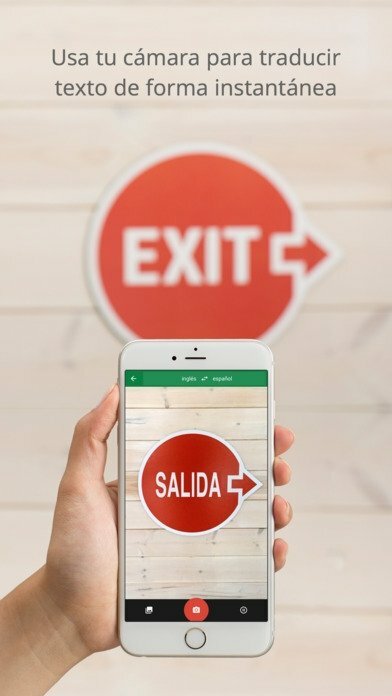 Capacity to translate offline between over 50 languages: you can carry out translations without an Internet connection if you’ve downloaded the corresponding text package. Photo translations: its word lens technology allows the identification of text in its language by simply sharing an image from the application’s camera function. 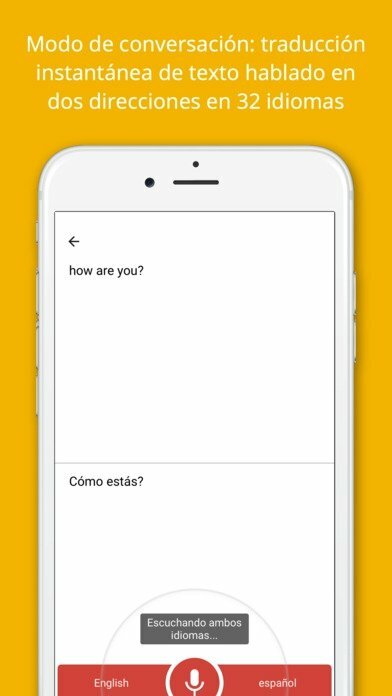 Conversation translations: bilingual conversation translations in real-time between over 30 languages. 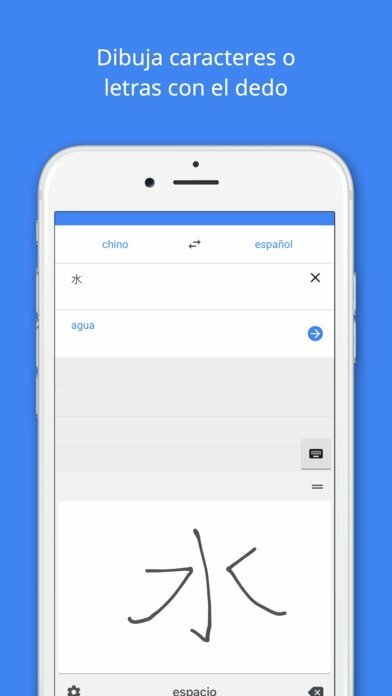 Handwriting: supported for over 90 languages, it allows you to input text by hand, identifying the corresponding language and offering you its meaning. Vocabulary: this option is compatible with all language and it allows you to highlight and save words and sentences that have already been translated, to be able to use them again in the future. Voice translation: speak on the phone and have your words translated in real-time. Listen to the pronunciation: convert any text to speech to be able to listen to it out loud and learn how it’s pronounced. 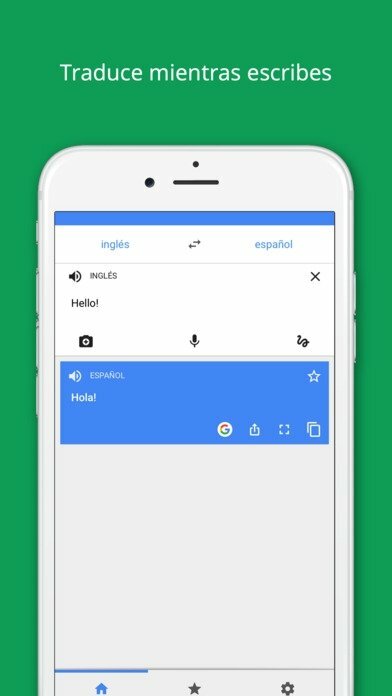 How many languages are available in Google Translate? Minimum operating system requirements: iOS 10.0.